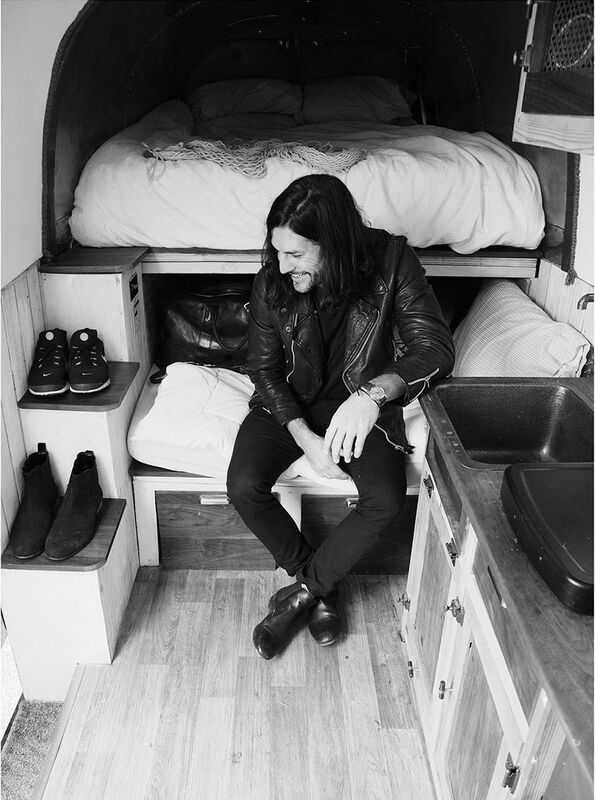 As a child Craig Stickland had “dreams of escaping the confines of suburbia as soon as possible.” That is part of the reason the musician set out earlier this year on a 10,000 mile (and counting) cross country solo music tour in a Sprinter van-turned-home-on-wheels, “it sleeps four, has walnut, leather and copper finishes and all the comforts of home.” That is what I call a sweet ride! Prior to wading into the solo career waters, Craig played guitar for Alessia Cara. In 2016, he released his first solo EP Leave Me to the Wild. This year, Craig signed with the multinational label Entertainment One (E1), released a new single called Warning, and set out on the road. Cool America caught up with the singer/songwriter/heartthrob in Queens, NY before he was due to leave for a show in Philadelphia. You’re in the middle of a cross country road trip and tour. What’s that like? I absolutely love to be on the road, to wake up in a new city every day and to meet all the incredible people all over this country. The landscape of America is absolutely stunning and it varies so greatly from West to East. What have you discovered about yourself on the road? I’ve discovered how much can surface when you spend this much time solo. I’ve discovered how little you truly need to survive and thrive and how much knowledge there is for the taking online. I’ve spent hundreds of hours listening to podcasts and audio books trying to better myself. You converted a Sprinter into a home for your time on the road. Tell us about that. Because I’ve been financially independent since the beginning of my career, I’m always looking for ways to be entrepreneurial and to further my chances of success. When I closed my deal with E1, I decided to take the money and convert a Sprinter van into a solar powered, off the grid mini home and tour bus. It’s fully winterized and I’ve lived in it on the road for the last year. Where’s the most interesting place you’ve parked? In Dumbo at the base of the Brooklyn bridge, living in one of the most expensive neighborhoods in the world rent free. My van looks like a cargo van from the outside, which allows me to park and live in situations I otherwise wouldn’t dream of. Your latest single is Warning. Tell us about your inspiration for the song. Warning is written about the struggle of trying not to be unfaithful while spending so much time away from the ones you love. It’s written about seeing all the danger in somebody, all the dangers in a situation, but going for it anyway. Have you been hurt in love? Yeah. My first two serious girlfriends broke my heart, The first woman I loved cheated on me. When relationships end now, I feel so deeply for both sides. I hate breaking up with someone as much as I hate being broken up with.